Im almost ten months not pregnant, so I’m not sure if I should be linking to this party, but, the phrase “womb service” made me giggle and think about my crazy cravings and 4,876,876 trips to Old Town, Alexandria’s Chipotle while pregnant with baby numero uno. 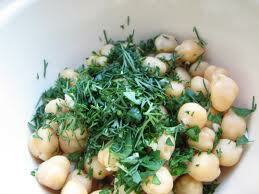 I ate approximately 8 million chickpeas during that pregnancy. Humus sufficed, but the pure bean was king. After chickpeas, I wanted a grape fruit, and then I went to Chipotle and ate two salads with everything they served but the beans. Pregnancy has enough wind all by itself. I made it to about 22 weeks before the crazy. “Where are you?” I panted. “What’s the matter?” he asked with concern. Everyday I “ate” somewhere around what could melt into 6 gallons of water. 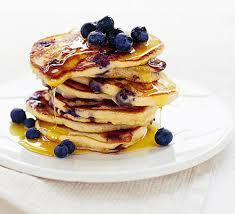 And then I made blueberry pancakes, for breakfast, elevensies, lunch, foursies, dinner, and pm elevensies. In fact, for the last 6 weeks of her gestational career, Josephine packed on all seven of her pounds with the sole help of blueberry pancakes. Rita, unlike her sister, craved Omega 3s, probably because her older siblings sucked all the good ones out of me before she got there. It was, actually, the first nicest thing she did for me. At this point of her 9 month life, she’s done a lot more of those. 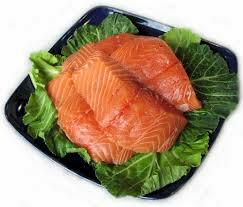 Her in-utero existence gave a resurgence for my once 3-5 times a week love for salmon. My healthy addiction had been ruined on a 17 hour flight to Australia, during which I threw up roughly 34 times, as they served the most repugnant smell to a girl with full fledge baby in the tummy throw ups: farmed salmon, steamed with peas and some sort of fake rice. If you could see my face as I type, its grimacing in disgust by the memory. One fine day during week 18, I got hungry and only Salmon would do that day and everyday for the rest of her pregnancy. Smoked salmon is what I really wanted, but I do believe its frowned upon for preggos. I rejoiced and still rejoice, because its healthy and I missed it so. I also ate 8 billion pounds of peanut butter m&m’s, and 8-10 gallons of would be melted water daily, and wanted roughly 4-6 pints of Guinness because its good and my two other kids were often bad. I settled on sipping my husbands. And I will have you know that each of the foods I craved are each of their favorites. Its science. You all did want to know that, right? Happy Weekend and silly blogging to you! I have to admit, during my pregnancy, I decided not to believe anyone about ANYTHING and ate…whatever I wanted. Thank goodness my midwife is rather laissez faire. I made my own lox (seriously, my husband was really really worried about this one) and ate it proudly, had a beer once a week (ok usually half a beer, so about 4 oz), and refused to give up my favorite sushi restaurant. Also, avocado on everything, watermelon by the truckfull, and red gatorade.